Fans are enjoying the latest look at the upcoming Batman v Superman, but right now it seems like that 2016 release date is a lifetime away. Thankfully, the folks at Rocksteady Studios and Warner Bros. Interactive have given the world of Caped Crusader fans something to make the long wait a little easier: Batman: Arkham Knight. The final entry in Rocksteady's Arkham trilogy, Arkham Knight launched a little less than two weeks ago to rave reviews. The game once again puts you in control of the Dark Knight as you try to save Gotham City from the likes of Scarecrow and the militant Arkham Knight. Between the flawless Freeflow Combat and the introduction of the Batmobile to the series, there's plenty to enjoy in the game. Those who have already completed the story are likely ready for more, and Warner Bros. plans to deliver that content soon. The previously announced story DLC Batgirl: A Matter of Family is being released on July 14th for those who have purchased the season pass, and July 21st for everyone else. The download will include story content in an all-new location, with new side missions and collectibles for completionists. The gameplay will also implement a new hacking feature for exploring the world and Dual Play functionality, allowing for dynamic take-downs with Robin. 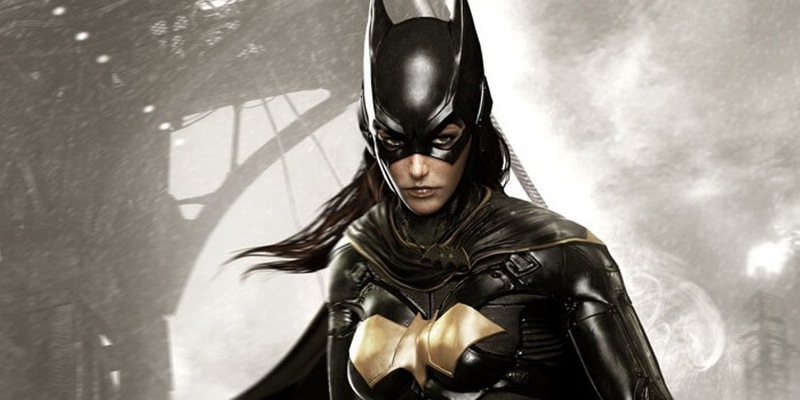 Though Barbara Gordon has appeared as Oracle in previous entries, the DLC marks the first time that players will be able to control Batgirl in the series. It's worth noting that Rocksteady Studios is not the developer of the upcoming story pack. Warner Bros. Montréal, the team that developed Batman: Arkham Origins, created the content utilizing assets from Arkham Knight. Rocksteady will be handling all further DLC. Events in Arkham Knight confirm that the storyline from The Killing Joke is in place in the Arkham universe. During a hallucination brought on by Scarecrow's fear gas, Batman witnesses a young Barbara Gordon being shot through the spine by the Joker, who proceeds to laugh and take pictures while wearing a tourist outfit. When Barbara loses the use of her legs, she reinvents herself as Oracle, a computer master and information broker who aids not only Batman but many heroes in the DC Universe. The classic storyline has proven controversial over the years, particularly for the violence exhibited toward Barbara Gordon. Rather you love it or hate it, the storyline has had a lasting impact on the entirety of the DCU, even inspiring this teaser photo from Jared Leto. There's been much speculation on the ending of the upcoming Batgirl DLC, with many believing that the story will ultimately culminate with Barbara being paralyzed by the Joker. It'll be interesting to see if Warner Bros. is willing to go that route, especially with the recent turmoil involving the storyline. Only a few months ago, DC Comics pulled a variant cover by artist Rafael Albuquerque that paid homage to The Killing Joke after significant fan backlash. As such, it's hard to believe they'd be willing to invite further criticism in regards to one of their biggest game franchises. Batman: Arkham Knight is available now on consoles. Batgirl: A Matter of Family launches on July 14th for season pass holders and July 21st for everyone else. The Batman: Arkham Knight Season Pass includes the Matter of Family DLC, in addition to new character skins, new story missions, more supervillains invading Gotham, and new Batmobile tracks.